Seattle-based Starbucks Corporation (SBUX) is synonymous with coffee – its iconic white and green mermaid logo is one of the most easily recognized in the world – and while there may not be a Starbucks on every corner (that depends on where you live), Starbucks is available around the world, be it through its shops, website or the many grocery stores that carry the brand. Starbucks had a few primary competitors in the premium coffee market, like Dunkin’ Donuts (DNKN) and Green Mountain Coffee (GMCR), but it also has some of the highest brand loyalty in the game. Dunkin’ Donuts’ coffee business is big, but it hits a different demographic. In fairness, Starbucks has tried to tap onto that more casual demographic with its Seattle’s Best line of coffee but this is a small part of its business. Starbucks’ other competitor is Green Mountain Coffee. Like Starbucks, Green Mountain Coffee has dedicated coffee shops, delivery service and a strong supermarket presence but until recently Green Mountain has had an important distinguishing feature – single-cup brewing company Keurig. Green Mountain Coffee bought Keurig in 2006 and it has since operated as a subsidiary, making single serve coffee machines and the K-Cups that are used in them. The concept really took off in recent years and Green Mountain Coffee’s share price with it. At its peak, in September 2011, Green Mountain Coffee was trading at $115.98, up from less than $3 a share in 2006. From September 20, 2006 (the year Green Mountain bought Keurig) to September 20, 2011, Green Mountain Coffee’s share price went up over 3,862%. The company’s share price fell to the upper 90s in early October when the market was rocky – then came the Value Investing Congress on October 17. Hedge fund manager David Einhorn announced that he was shorting the stock and gave a 110-slide presentation explaining why. Green Mountain Coffee shares plummeted. By the October 26, its share price fell under $60 a share. By November 10, it traded for less than $40 a share. So far this year, Green Mountain’s share price has wavered from the low 40s to the upper 60s. Now, Starbucks is delivering the final coup de grace. After working with Green Mountain Coffee to be able to offer the iconic Seattle brand in K-Cups – a deal which left Green Mountain seeing very little of that action – the coffee giant announced on March 8, after trading hours, the introduction of its new Verismo system, an at-home, single brewing machine produced through a strategic relationship with the privately-held, Germany-based Krueger GmbH & Co. KG. In its press release Starbucks downplayed the Versimo system as a “killer” to Green Mountain’s Keurig, instead emphasizing the espresso and specialty coffee drink capacity of the machine. Further, Starbucks’ Verismo system can do something Keurigs can’t – it can make lattes. The system has milk pods, so it retains the single-serve aspect while making it extremely convenient for people who use a single serve machine in an office setting, for example, and prefer specialty coffee drinks. We think that Starbucks Versimo could be the catalyst that finally breaks Green Mountain Coffee. The machine has greater functionality than Green Mountain’s Keurig and Starbuck products are actually priced a little lower than Green Mountain, so we are talking about greater value at a lower price – it’s a no-brainer. Plus, Starbucks is in a better position than Green Mountain financially so it will have more latitude to weather the competition, like offering big discounts – something Green Mountain is not in a place to do. Starbucks closed trading on March 8 at $50.37 a share, representing a 52-week increase of almost 38% – and that price doesn’t even include news of the Versimo. Starbucks has notably low profit margins, but it shines in other areas. Its revenue has grown by 16.4%, outpacing the industry’s average of 14.1%. This gain trickled down to its earnings per share, raising its numbers by 11.1% compared to the same quarter last year. The company also has had a modest increase in its return on equity, indicating some strength in the organization and its management, an observation further supported by Starbucks’ low 0.12 debt-to-equity ratio which is less than its industry’s average and its 1.25 quick ratio, which suggests it will not have difficulties covering short-term cash obligations. Starbucks also has strong earnings growth estimates. According to Yahoo Finance, analysts are predicting its earnings will increase by 18.30% a year on average over the next five years versus expectations of 13.94% for its industry. However, in spite of its strong position, Starbucks is still priced low relative to its peers. It has a forward price to earnings ratio of 21.65 versus its peers’ average of 21.79. Starbucks also has support from the hedge fund industry – of the hedge funds we track 42 had positions in Starbucks at the end of the fourth quarter, for a total investment of $1.07 billion – and a solid outlook. The current market is favorable for coffee companies. There is a strong demand for coffee products in North America right now. This demand is coupled with increased consumption in emerging markets and is giving companies like Starbucks a boost in sales. At the same time, coffee bean prices are low and that is helping to reduce costs. Starbucks has been revitalizing its image and the hard work seems to be paying off. 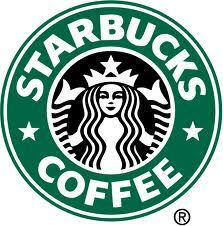 Starbucks is also actively pursuing new markets, like in its recent joint venture with Tata Global Beverages Ltd. The 50/50 joint venture – to be named TATA Starbucks Ltd. – will start offering coffee products to Indian consumers soon. We like Starbucks and recommend it as a buy. Green Mountain Keurig Coffee Machine Krueger GmbH & Co Starbucks (SBUX) Starbucks Versimo Coffee Machine Tata Gobal Beverages Ltd.